Liberal vs Conservative. Northeast vs Northwest. Politicos vs everyone else. In a city where new battle lines are constantly being drawn, it’s hard to find practically anything Washingtonians can agree upon. There is however one thing that unites many across these lines – an unabashed love for our four-legged friends. Increasingly, pets – and most notably dogs – have played an outsized role in the development and growth of the city. Just visit any new apartment building and you’ll be amazed by the ways they cater to animals. From treats and doggie bags at concierge desks to rooftop dog parks, there seems to be an arms race for the best pet amenities. You can also experience this by walking down any of DC’s major retail corridors. You’d be hard pressed to walk more than a few blocks before stumbling upon a boutique pet store or dog-walking service. We’ve been working together for the past couple of years and it’s been a great partnership. Looking back on things, why did you decide to work with us vs other potential brokers? Steve [Gaudio] was recommended by a close friend of mine who worked with him at JBG. Steve also has a great track record working with other local businesses like Compass Coffee and Union Kitchen. Just last month, you announced that District Dogs will be opening a second location in Navy Yard. For our community of DC entrepreneurs, it would be great to share some of your key considerations when looking for a first and then second location. For the first location, I had two key considerations. First, I needed a manageable sized building that was close to the home territory of District Dogs, near Park View. Second, it was important to be on or near a commuter street to attract clients coming to and from the suburbs. For my second location, proximity to a commuter street remained important but the site had to be far enough away from the first location in order to attract a whole new client base and without competing with our existing business. The density of the neighborhood also played a major factor. Throughout the entire search process (from the decision to expand to a signed lease) where did you feel District Equities provided the most value? By far, District Equities provided the best value during the negotiation. You really understand what District Dogs needs to be successful and made sure that was taken into consideration during the lease negotiation process. 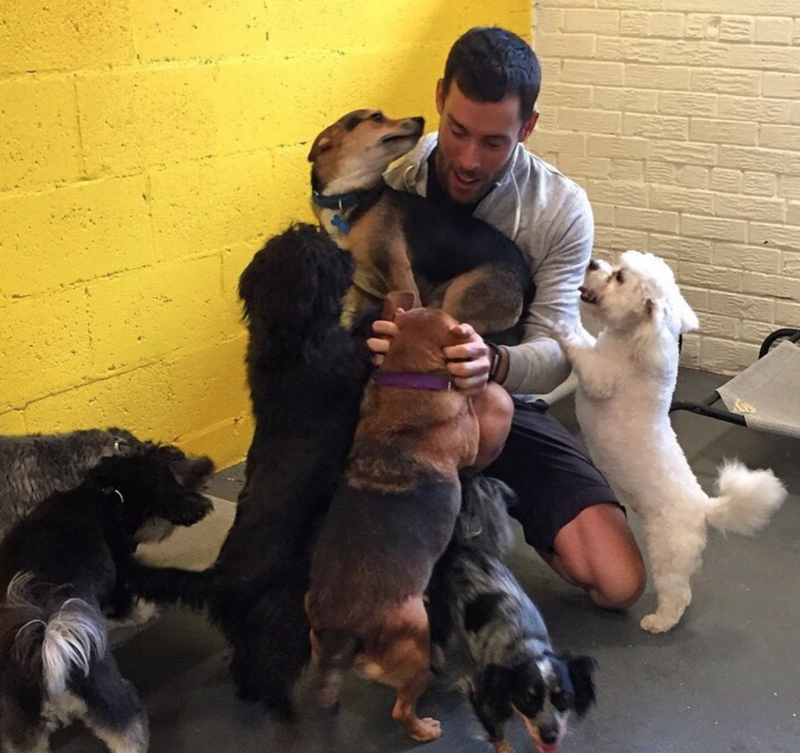 Finally, in your opinion, what makes DC a great place for dogs and dog owners? DC is a great place for dogs mainly due to the amount of green space around the city. There are so many places to take your dog outdoors all around the city and DMV area. Almost every new building complex is also pet-friendly and some have dog parks on their roof. There are also many places you can take your dog with you to grab a drink or a bite to eat. DC's dog community loves Jacob and District Dogs. Opening a restaurant is like studying for final exams. You have way too much to do, not nearly enough time, and few to no options to push back the deadline. In a café’s case, that to-do list includes finishing the buildout, training employees, and ensuring you have all the necessary inventory for opening day. Now imagine taking that impressive checklist and multiplying it times two. That’s the situation the owners of Compass Coffee found themselves in as they prepared to open two new locations on the same day in December 2017. About a week before opening day, Harrison and Michael of Compass Coffee realized that in order to achieve this goal of opening two cafés at the same time, they needed all hands on deck. This included not only their awesome staff but also us at District Equities. Naturally, we were happy to help because our clients’ success is our success. It is this kind of involvement, commitment and follow-through that differentiates us in the way we represent our clients. As Steve, owner of District Equities explained “...manual labor isn’t my most valuable contribution, but if they need me, I’m there." For the next seven days, we worked with the Compass Coffee team around the clock to get everything ready for opening day. From encouraging check-ins to painting walls deep into the night, we supported Michael and Harrison as best we could, because we knew that if anyone could pull off this extraordinary feat, it’s them. Finally, before anyone had a chance to reflect on the exceptional efforts from the previous week, it was time to open. And while they say you should never cram for an exam, we’re happy to report that Compass Coffee passed with flying colors.